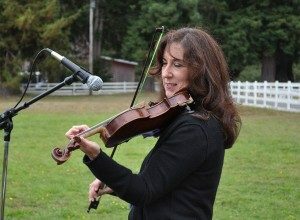 Bonnie has been a member of the of the Boston Symphony Orchestra for over 20 years, is an active performer, soloist, and teacher and has been playing Celtic and folk fiddle for many years. She is a member of the group “Childsplay” and founded the world music group “Classical Tangent” with Ken and several Boston Symphony members. She has made solo appearances with a number of west coast orchestras, and with the Boston Pops under John Williams and Keith Lockhart as well as the New England Philharmonic and the Cape Ann Symphony here in New England. While trained as a classical violinist, bringing the many forms of traditional and folk music to classical audiences has become her passion. With that purpose in mind she formed the group “Classical Tangent” in 2007, comprised of BSO members and other traditional musicians. This venture has been enthusiastically received by audiences at Symphony Hall, around Boston, and in the Berkshires, with a featured performance in June (2010) with the Boston Pops under Keith Lockhart. 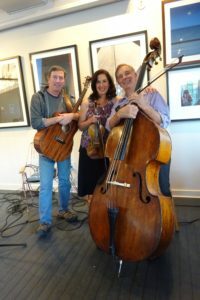 Since then, Bonnie has formed the duo “Frame” with her brother, guitar player and songsmith, Ken Bewick, and they released their first CD in March, 2013. When she finds herself with extra time on her hands, cooking with her brother, Ken is one of her favorite pastimes, as is playing golf. She is married to Michael Brown and has 2 fabulous boys, Andrew and Kevin.